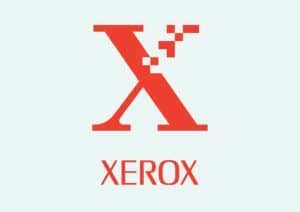 When it comes to outstanding performance in office machines around the world there is only one name that comes to mind – Xerox. Their machines have been innovating the office environment for decades. When you work with a Xerox office machine you know that you are using the best the industry has to offer. That’s why we lease the best Xerox copiers to out customers who demand the most for their businesses. Our line of Xerox copiers are the solution you have been looking for to make your office operate even more efficiently. Office machines from Xerox are designed to free up more time for you to focus on the aspects of your business that matter most to you. More and more functions are being added to let you accomplish more, faster than ever before. We have office machines to give you the print speed you need to make every second count, the power to let you make high-quality photo prints in your own office, and the security to make sure that your work is protected. The best Xerox copiers are the pinnacle of what you want to have in your office. All Xerox copiers leases with Colorado Springs Copier also come with the Xerox Total Satisfaction Guarantee. This ensures that the team at Xerox and our staff at Colorado Springs Copier will do whatever we can to make sure your experience is great. Give us a call today to learn more about the best Xerox copiers in Colorado Springs.